EMAF is one of the most influential forums of international Media Art. As a meeting point for artists, curators, distributors, galleries and an audience of experts the festival has a great impact on the topics and aesthetics of Media Art. Each year the festival offers its visitors a current overview of experimental films, installations, performances, digital formats and hybrid forms, ranging from personal and political subjects or formal experiments to provocative statements from the pulsating area of „Media Art – Society“. The Festival sees itself as a place of experimentation and a laboratory where extraordinary works, experiments and ventures are created and presented. 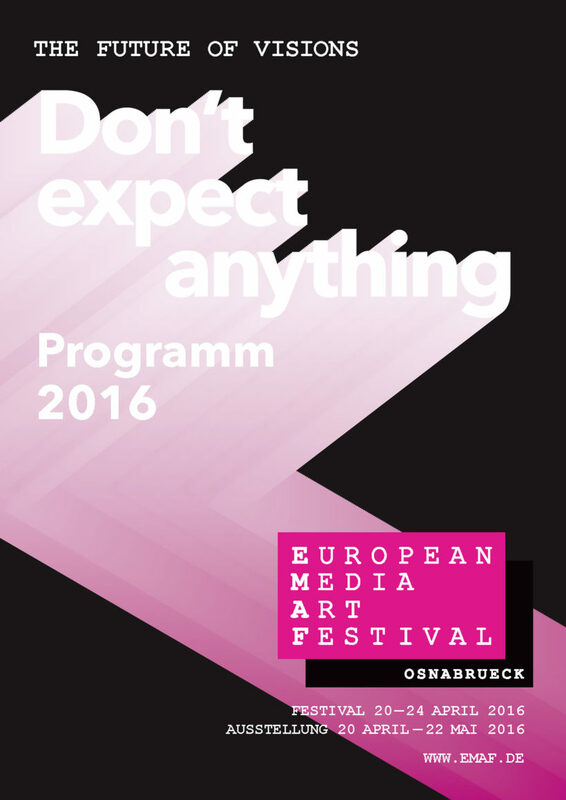 This year, the European Media Art Festival will query the importance and impact of strategies for the future. It is taken for granted that the debate on how to shape societies, their economies and cultures necessarily involves looking to the future, creating drafts and scenarios, speculating and having visions. However, it should also be a matter of course to ask: who creates these visions, who could have an interest in the implementation of these plans, and whose purpose do these strategies actually serve?